Visitors can learn astonishing facts in historical astronomy, astrobiology, astrophysics, space missions, and many more space science topics at this comprehensive website. David Darling, a British astronomer and science writer, provides straightforward explanations of seemingly difficult concepts. 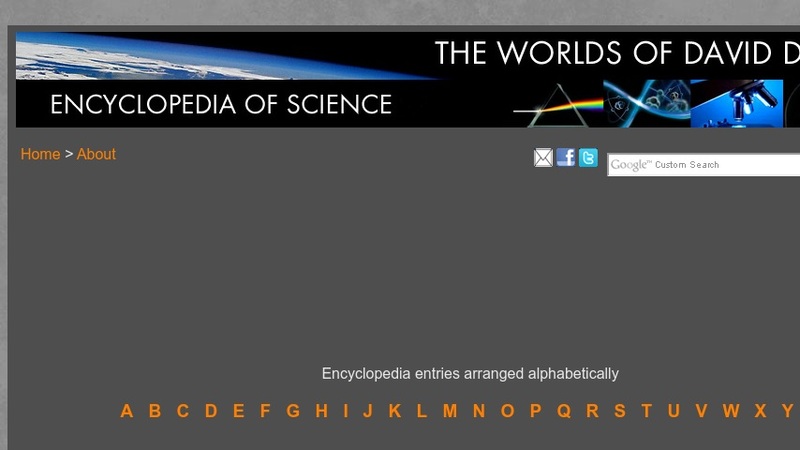 In addition to an easily navigable alphabetical list and a keyword search, the encyclopedia is interlinked so that users can easily progress through the materials. The website also features the latest space science news stories as well as archives of exciting events.